I’ve been to four NACADA/advising conferences since 2012, and I didn’t know a single soul at any of them. The thing that makes that especially notable: I’m a fierce introvert. It’s easy to go to sessions and at the end of the week go home full of new ideas and not much else. I am living, breathing proof that anyone can not only survive a conference, but thrive there! Before you leave home, make some friends! There are countless people involved in higher education on social media, and engaging with a few people who are going to the same conference as you are will set you up to meet some folks once you arrive. Most conferences have Facebook groups and Twitter hashtags you can use to find others who are headed where you’re headed. If you can swing it, stay where the conference is being held. Not only will you have the greatest commute in the morning, but you have the flexibility to stick around if you’re invited to dinner or drinks at the end of the day. Always say yes to these invitations! Plus, you can freshen up mid-day, and you don’t have to wait in line for the bathroom between sessions if you don’t want to. Do not retreat. I repeat: do not retreat. Conferences can feel like an endless parade of interaction, conversation, and being “on”. And they are. You may have the urge to skip sessions, happy hours, or organized dinners. Do not do this. It can be exhausting, but you need to take solace in the alone time that you get in the bathroom, or going to your room to grab your coat. Coffee will be a big help if you’re not a naturally inclined conversation starter. Make friends with your neighbors. The most wonderful thing about conferences is that you’re rarely sitting in one place for more than an hour. So in each session, you’re likely to have new neighbors. Talk to them! Don’t just shuffle your papers and look at your phone! We are all guilty of this! You never know who you’re sitting next to, and a conversation can lead to a joint session proposal venture, friendship, or who knows, maybe you’ll end up working with them someday! Be bold. It’s easy to sit with your friends in any instance. Break out of habit at breakfast and lunch and sit with people you don’t know. I have never ever been turned away by asking, “Is this seat taken?” Conferences are equal parts sharing, learning, and networking. Don’t neglect the networking part! Remember your business cards. This seems like a no-brainer, but in talking to my fellow conference attendees, it’s come up more than once that they forgot their business cards at one point, went to give one to someone and realized they were still in their room. When you leave your room, check that you have your keys, phone, wallet, and business cards. As a safeguard, put a few in your wallet, just in case. As I like to say: can’t hurt, might help. Have fun, and be yourself! While you’re busy learning, connecting, and sharing, don’t forget to have fun. 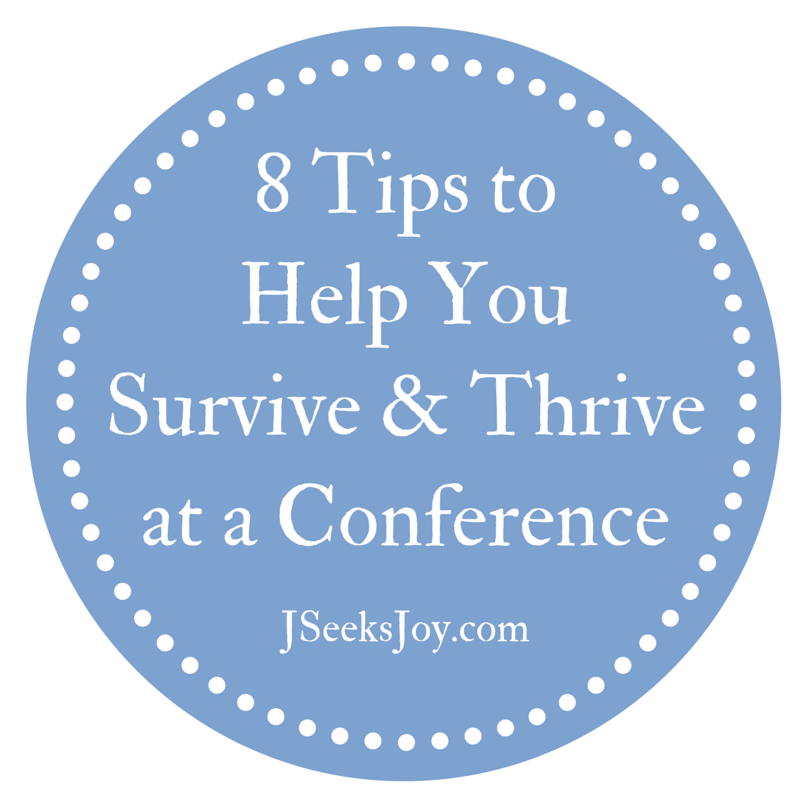 Conferences are professional, but you don’t have to be all-business-all-the-time. (Ew.) Tell a joke, wish someone luck balancing four cups of coffee in one hand, tell someone about how you walked out of the bathroom with toilet paper stuck to your foot. It is the easiest endeavor in the world to forget that we’re all human, and connecting with your peers is a great reminder that we are all indeed human. This is great advice! I can totally relate! I recently wrote a post about self-promoting for introverts at http://www.joympedersen.com. Also, hope your job search is going well. There is a Career Advisor position open at my institution (Cal Poly) if you are still looking! Thank you and thanks for the tip! I am still searching; I’ll check it out!